Diversity means relating to others. It even means respecting other people from other cultures. Also there should be no discrimination to other religions. It's also when people celebrate other people's cultures together. 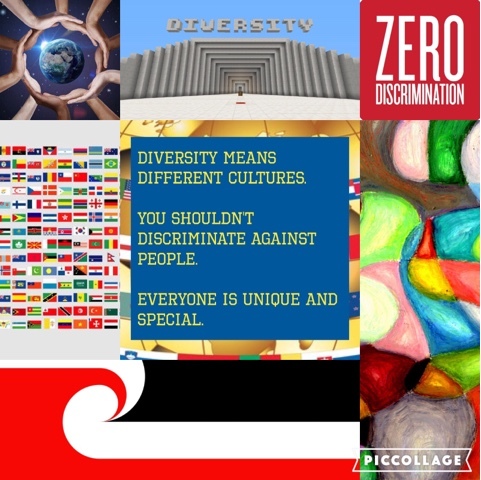 I really like the way you created something related to diversity.